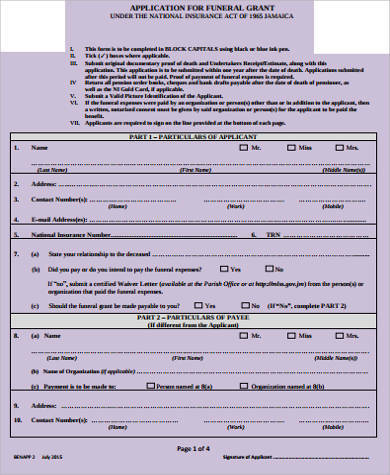 A grant application is commonly done by filling out an application form or by writing a grant letter to a prospective grantor. 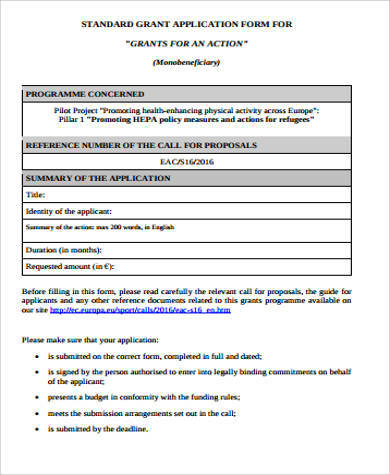 When writing a grant proposal, employing conventional means in doing such can be a good idea. However, taking a strategic approach in putting together and subsequently presenting a grant proposal will undoubtedly pay off. The chances of a grant being approved by a grantor are greater when an applicant is able to plan out the information they are going to convey. 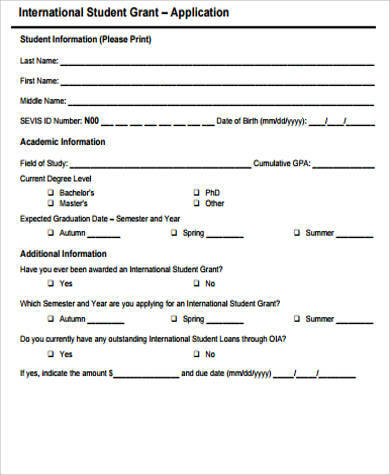 If you intend to submit a grant application, having these Sample Application Letters as your reference will prove to be significantly helpful. A grant refers to the financial aid an individual or organization applies for in order for a proposed project to come into materialization. 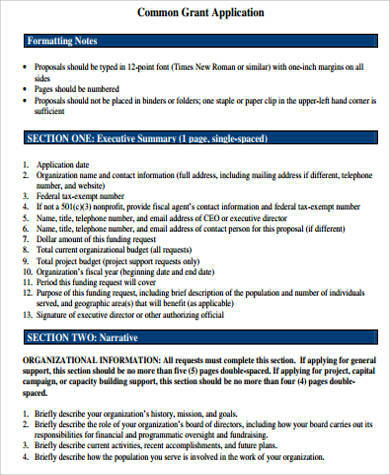 Nonprofit organizations advocating causes that seek to benefit a community are common proponents of grant applications. 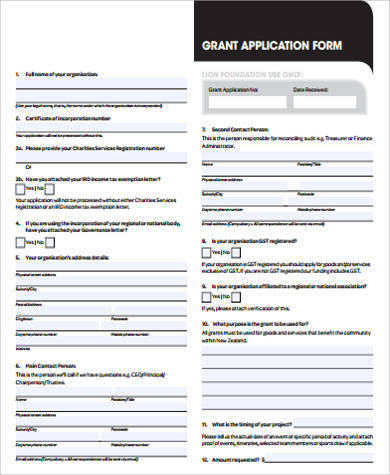 If you are spearheading or belong to a nonprofit organization and have a project you want to come into fruition, looking for a grantor or benefactor and applying for a grant may be a good idea. 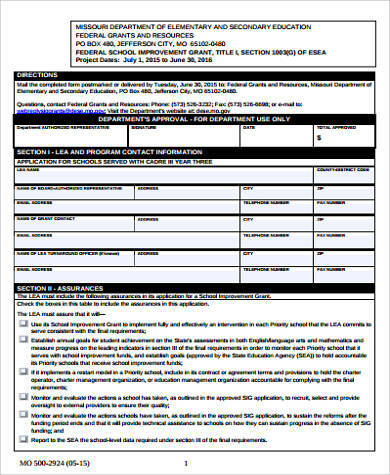 Writing grant applications is no different from working on Employment Applications. One will need to be meticulous and critical, particularly in determining which information to include in the application. You cannot simply fill out a grant application form or write a letter without thorough and strategic planning beforehand. After all, it is your objective to have your application approved. Thus, it is a must that you are very particular with the process. There are several components that go into a grant application. For your proposal to be a success, you must see to it that you look into such components. In doing so, the chances of your application being approved will be greater. Ultimately, effectively turning your cause into action will become a complete possibility. Overview of your nonprofit organization. 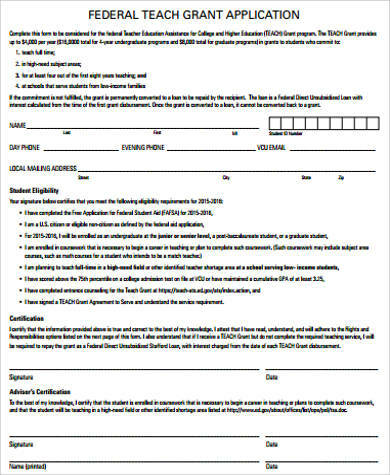 In this part of your application, you will need to provide an introduction to your organization. You must state your vision and mission, and more importantly, the cause you are going to great lengths to uphold. Other important information you have to include in the overview are when your organization was founded, who founded it, and where your headquarters are. Summary of your proposed project. This part will prove to be the most crucial. It is where you must sound both sincere and persuasive. Furthermore, you must make it a point to keep this part brief yet substantial. Only include information that will interest your prospective grantor, such as the whats and hows of your project, as well as who will benefit from it. Budget estimate. 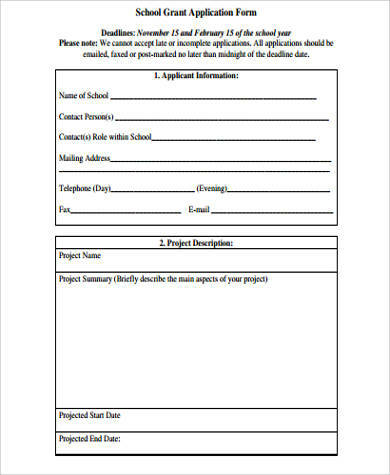 Prior to coming up with a budget estimate, you will need to make a list of materials you need for your proposed project. If you need a venue or persons to employ to make the project successful, you must take such into consideration. Doing so will allow you to come up with a feasible budget estimate, one that will not have your grantor backing out on the prospect.